Cullens provide professional probate clearance and probate house clearance services to solicitors, executors, administrators, and private individuals dealing with a probate estate. Our probate clearance and probate house clearance services are available across parts of London and Surrey. Our aim is to make everything as easy as possible especially during the difficult circumstances of a bereavement of a loved one, friend or family member. We can clear most contents/chattels within an estate. Cullens can support you through this process by providing a full probate clearance and probate house clearance service. 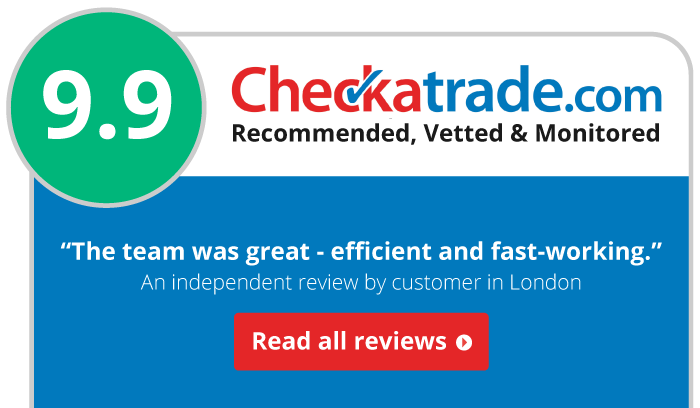 Cullens are recommended, vetted and monitored by Checkatrade, where previous customers have rated our service as excellent with an average rating of 99%. Get a free instant online estimate for a probate clearance, or call us on 0800 033 7930 to speak to a member of our team. We have created a short guide to help you with your probate house clearance. Our probate clearance service can be added on to our probate valuation service. You can also read our full free Probate Guide which has an indepth look at what a Probate is and thorough walk through for those new to the process. Cullens provide clear upfront pricing with no hidden costs. 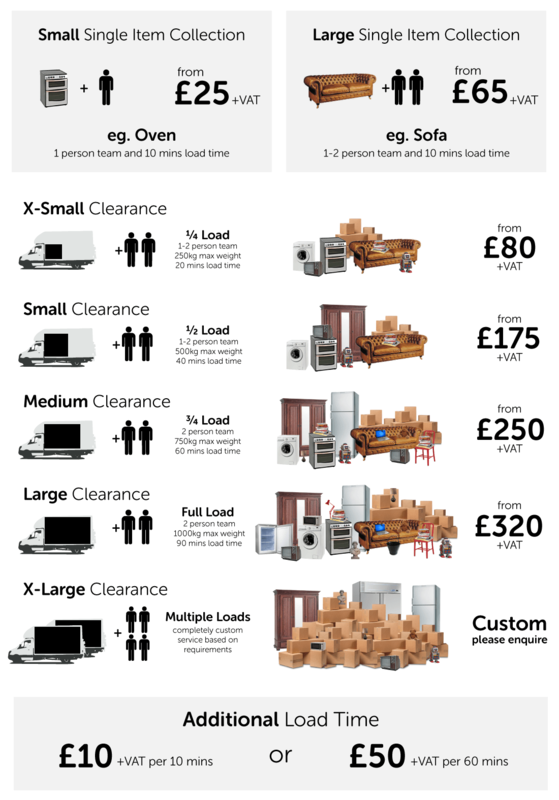 The pricing levels depends on the volume of the items needing to be cleared. Probate house clearances are usually required by solicitors, administrators or executors dealing with an estate to remove contents from that estate. Probate clearances are the next step in the probate process after the passing of the probate valuation and probate valuation report to HMRC. Our probate clearance service is identical to all our other clearance services with the option of Cullens providing the initial probate valuation and probate valuation report for the estate. Our probate valuation helps clients ascertain the estate’s value, enabling them to compare liabilities and determine the applicable inheritance tax. Once probate has been passed we can offer you our full probate house clearance service. Our aim is to make the whole process as professional and stress-free as possible. Cullens probate team constantly monitors the antiques and collectables market and are fully aware of aspects such as rarity, quality, distinguishable features and can recognise certain items that may not be apparent to the general public. We are happy to assist you whenever you wish to value antiques, jewellery, fine art or collectables. Whatever the reason, whether it’s simply out of curiosity or whether it’s to help you decide on how to divide property between beneficiaries, we will be delighted to offer advice and assistance. Probate clearance is an important part of winding up a deceased estate. As a specialist clearance company we will visit the deceased`s property, itemise, value and sell or remove unwanted items. The house is then ready for the next stage of the probate process whether that is selling or retaining the property. Companies that specialise in house clearance in the event of death will have experience in valuing chattels for probate processes. They`ll be able to provide you with a detailed valuation of furniture, electronics and white goods and other general household items. A reputable clearance company will also be able to professionally value expensive items such as jewellery, art and antiques. This will be immensely beneficial to you during a probate application, allowing you to easily complete inheritance tax forms and include supporting documentation. You`ll be able to include an official valuation on letter-headed paper to avoid any queries from HMRC. This is a necessary requirement for all individual items that are estimated to be worth over £500. Executors and administrators tend to use probate clearance companies for convenience. Sometimes they simply don`t have the time to do it personally or they may live too far away. Other times, bereaved relatives simply find it too distressing. A professional clearance firm can arrange for the sale, recycling, charity donation and disposal of all unwanted household items. They may purchase chattels from you directly or arrange for goods to be auctioned or sold. These monies can then be used to offset their fees. Items will be disposed of in the most environmentally friendly way and many companies promise that at least two-thirds of items will be recycled or re-used. Transport can normally be arranged too for items that you wish to retain. You may wish to consider additional services to make the property more appealing to perspective buyers or renters or ensure its security if it is likely to be empty for a long period of time. Many clearance firms will offer a full cleaning service where you can have walls washed, carpets deep cleaned, bathrooms scrubbed and gardens cleared. You may want to consider extra security or fitting new locks now the property will be empty. To prevent burst pipes, you could consider draining the central heating and water tanks and checking over the electrics. You`ll find that a specialist probate clearance firm is likely to offer this too, along with many other services to ease your burden. If you`ve decided to use a team of professionals to handle the household goods and chattels choose a licenced waste carrier. This will help to ensure that goods are disposed of in a safe and environmentally friendly manner. It is better to use a company that specialise in probate. You`ll find they are more knowledgeable with regards to valuations, procedures and more sympathetic to your needs. Finally, use a firm that will quote a fixed fee so you know exactly how much it will cost. Some probate clearance companies charge by the hour and can add-on extras for transport and waste disposal etc. So why not choose a specialist probate clearance company like Cullens to tackle any clearance, valuation, or cleaning you may need, making a chore into a pleasurable experience. We have compiled a list of the frequently asked questions around probate clearances to help make this process as simple and as stress-free as possible. If you have any further questions regarding probate clearances or probate house clearances in London and Surrey, then please do not hesitate to contact us. Is this the service I am searching for? If you are searching for 'probate house clearance', 'probate house clearance london', 'probate clearance', 'probate clearance surrey', 'probate house clearance surrey', 'probate house clearance kent', 'probate clearance kent', or 'probate house clearance company', then Cullens can assist. What type of probate clearances do you provide? We provide a full range of probate clearances including all residential properties such houses, bungalows, flats and apartments. We currently do not provide probate for commercial properties. How much do your charge for probate clearances? What are your probate clearance prices? Our pricing for probate clearances are exactly the same for all other clearances. We use our standard clearance price list which can be found by visiting prices. Where do you provide probate clearance services? For probate clearances, we cover parts of London and Surrey. Do you do valuations as part of the probate process? Yes, visit this link for more information about our probate valuation services. We're proud of the service that we provide and we hope that all of our customers are too. That's why we are independently rated on Checkatrade. All of our previous customers can independently review us on Checkatrade, of which previous customers have rated our services excellent at 9.9 out of 10. Clearance and Probate services provided by Cullens Clearances Ltd with Cleaning services provided by Cullens Services Ltd t/a Cullens Cleaning. Cullens Clearances Limited, a registered company in England and Wales, registration no. 08114693, trading from address Unit 4 Cartwright House, Wandle Way, Mitcham, Surrey, CR4 4NB.